Owing to my Social Theory Professor, I am writing this article now. The task for me as a student was to watch a modern movie and then say which idea is the main one and how it is connected with the society. I will not say the name of the movie, I watched but the thing I want to share is Trend. Have you ever thought about this word? Trend is different for each age group and here I am going to discuss millennials. : If you are in your twenties, you use Instagram and want to gain profit from Bitcoin. Going to a bit deeper sense of a word “trend”, I would like to introduce an aspect of moral values. Are they trendy? Kids are being bullied at schools, girls are being ready to do almost everything to get a new iPhone, rich kids neglecting all rules while driving luxury cars…. Yes, these things always existed but the scale has never been as enormous as nowadays. They are ready to do whatever to get more “likes” and “reposts” on social networks, especially on Instagram. They have almost no limits and they are ready to do the craziest things just to become popular. Why? And what about their parents, teachers and professors, who should give a good example to follow but not to criticise them? September, 18th. : It is the Election Day in Russia. People want to believe in democracy but it does not feel like it. It has been the first time the most powerful party took part in the debates on TV. It has been also the first time more than ten parties participated in the elections. It has been the first time the system of voting has changed as now the people have to vote not just for the party but also for one candidate. This seems to be democratic but in reality, it is not. Firstly, not all debates were shown on the main TV channels. This makes sense when we see that the government owns these channels. Of course, people could find all the information about the debates on the Internet but not everyone has access and desire to search the Internet or to watch some oppositional TV channels just to receive some other perspectives. Propaganda has been done quite well. The topics of the debates have been prepared beforehand and everybody knows what to say. There have not been any heated and intense discussions, just well-known words and promises. Secondly, many parties participated in the elections but not all of them were equally represented in the media so that many people were not even aware of their party program. It seems to be unbelievable, but in 2011 the opposition seemed stronger than in 2016 after the annexation of the Crimea, the sanctions and the crisis in the country itself. However, if the people wanted some changes, how could it happen that the ruling party won again and got, even more, votes than in 2011? So, who voted for Putin’s party? First of all, it’s well-known that all people that “serve the government”, for example, the army, the police, doctors and teachers have been forced to vote for the ruling party. It took place in 2011 and it happened again in 2016. How does it work? The heads of the state institutions were told to make all their subordinates to vote for the ruling party. Otherwise, they could lose their jobs easily. The amount of people who work in state institutions equals to 33 million people while 110 million people in total can vote. Then the state subordinates are either given a right to vote beforehand or they just come quite early to the voting place and the head of the department controls which party the subordinates have chosen. Secondly, even at schools parents were told to vote for the “you-know-which-party”. Seems to be crazy but it’s the reality of life at the moment. While it is not possible in this case to check, who has voted for whom, this method of persuasion is often times successful which is not a good sign for any political system that calls itself a democracy. Thirdly, all elderly citizens who receive the pension money have been promised to be given a present of 5000 rubles in 2017. Moreover, in small villages and towns, people hold no interest in the political life of the country, they just believe the official state propaganda and blindly vote for Putin’s party. The key argument here is: “Who else if not Putin?”. They do not understand that Putin is not the only person in the country nor that he is not the tsar of Russia. Adding to this is that the observers at the polling stations have the power to change or even destroy bulletins in favour for the ruling party. Why did the real opposition lose? It is sad to admit that but that is the reality that we have to accept and live with. Firstly, there were many oppositional parties and Putin did not allow them to unite before the elections. Secondly, unfortunately for all, the most popular oppositional party, the “PARNAS”, ruled by a former Prime Minister, Mikhail Kasyanov, and the most popular oppositional, young politician Alexey Navalny, did not agree about the official leaders of the party and the process of voting for them. When there is no unity in the party, it is clear the party loses in popularity and in votes. Thirdly, it is not really possible to speak out against the current system, as it is impossible to freely go to the streets and take part in demonstrations against the authorities. Therefore, many people who would like to go out and voice their opinions are unable to do so. Moreover, there is a new rule since 2016: foreign residents with Russian citizenship have to be registered to vote, but in order to be registered you have to pay around 100 Euros. Russians living abroad will most likely not vote for the current authorities as some of them left the country due to them. The ruling party most probably knows this and this might be a reason for the new rule. It’s absolutely clear who is going to be the President in 2018. The only unclear thing is whether the citizens of the country get a right to vote and to be heard. It is partially the general mood throughout the society to ignore the elections and protest against the current situation. However, how can it be that the ruling party can already announce their victory the minute the polls are closed? How could they have known that they won if the votes are not even counted? The answer is clear. This moment makes you feel sad and diminished because you realise that your vote does not decide anything, as everything has already been decided for you. You have no vote, you just have to accept the decisions given to you from the top. Is this democracy? No. Your vote has been stolen and this is no form of democracy, but a rather a game for show. First of all, let me say that the idea of this article was not to show anything from a bad perspective, the idea was to show the reality. And you are those who will judge if the attempt was successful or not. 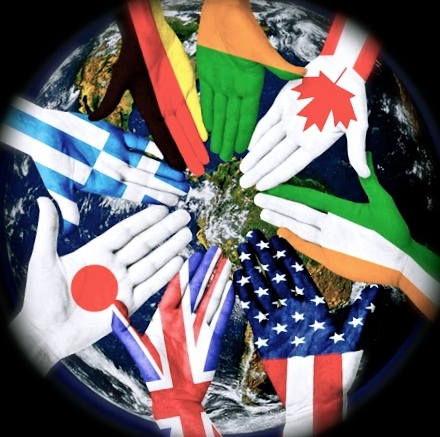 Many of us, when live abroad or just travel, think that people there are much better than where we live or come from. But sooner or later we break this stereotype, which is rather good as people are the same everywhere. There are always good people, and always, unfortunately, bad people, while the place is not of a great importance. The only problem is that when you are abroad, you can have more troubles than at home due to culture, language and judicial differences. In this article I am going to share 3 various stories. All of these 3 stories happened in different years, at different places and with different people. Olga, 26, St. Petersburg, likes to travel. It’s rather interesting but when I interviewed her, she wanted to reveal her emotions and forget that bad experience as soon as possible, though the story happened some years ago when the young lady went to Barcelona, Spain. «It was a rainy day, it was about midnight and we were tired. We came to the hotel, threw our things on the floor. The camera with many photos was in one of the bags that Olga put on the floor». In the morning the girl was not able to find the bags. It turned out that the chambermaid had thrown the things away. When Olga tried to talked to the receptionist, the conversation was not pleasant at all. The receptionist didn’t want to pay any repayment. The chambermaid pretended not to be able to speak English. However, she said that the trash had already been taken out. «I was not that much sad about losing the camera itself but about losing the photos and memories», says Olga. She adds that after this situation she has no desire to go back to Spain. Julia has not been that much impressed in a negative way by foreign experience but she still has not the best recollection of one day of her winter trip to Portugal. Julia, 25, Germany, is a student. «When me and my friend went to Portugal this winter, we had to spend only one night in Lisbon though we wanted to spend more. The hotel was disgusting. The central heating was not working properly and it was very very dirty. We had to go to Porto the next day». However, the lady says, she loves Portugal so much that this tiny situation has not changed her attitude to the country and its people. And here comes my own story. One of my hobbies is traveling but after this situation, I travel much much less. It is senseless, of course, but this story influenced my traveling a lot. Summer 2013. A train Mannheim – Wiesbaden via Frankfurt Airport. It’s about midnight. Next morning I was supposed to take a plane to Prague. Let me say that the tickets for the trip (it was a trip from Dusseldorf to Stuttgart with some stops) were the most expensive train tickets in my life, so I expected a super first class service. But as it often happens in life, expectations and reality are totally different. First of all, the train didn’t go to Frankfurt Airport as it was supposed to go. Secondly, the conductor on a train saw that I was a foreigner, I told him the story about the plane next morning. But he didn’t want to help. It was not his business, as he said. That was the biggest shock for me while traveling. But life is like a zebra: something bad happens, and then immediately something good. In Mannheim just a typical railwayman helped me, he advised me to take the regional train to Frankfurt Main Station and then get a train to Dusseldorf. And I was the lucky one that night – I took the train and managed the early plane to Prague. But this rude attitude of the German railway conductor damaged my stereotype of foreign countries and other cities as an ideal place, full of happy and friendly people. True and open. Maybe we should just be prepared to unexpected situations and we also should not expect perfect attitude from the other people, even when we are relaxed on holidays. just want to show that the stereotype mentioned in the beginning should be broken. One of the main subway stations in the city. The rush hour is almost over, so the trains are not packed. A typical gloomy morning. All people are wearing black, grey and white. They do look serious. Big Business Deals are waiting for them… Suddenly a girl in a bright dress has just walked in. She is a bit plum. Her yellow dress is making people pay attention to. She is not a fashionable chick. About 30 years old. All people have just stared at her. She is sitting down and reading a newspaper. She is not smiling but looks happy. And she really is. Why? Because she doesn’t care about stereotypes. She just breaks them. Maybe she is going to work, maybe just to see the city. She is a bit fat but she doesn’t care what people think of her. She is going to have a sunny day instead of a gloomy one. She is an example to follow. July, 15…. 15:30 pm…. Moscow subway…. Moscow centre. Not too many people. A sunny day. The weather is very hot. All girls are wearing short skirts and high-heeled sandals. The one is wearing a summer dress and sneakers. She is about 25, slim and not too tall. An ordinary pretty girl. All girls at the platform are looking at her as if she is from the other planet. «Sneakers and a dress means no taste. No Moscow city style…», whispering all the girls around. She comes obviously from a village. But the girl is smiling. Her bright eyes are shining. She is happy. Why? Because she doesn’t care about stereotypes. She just breaks them. And she is going to have not just a sunny day, but a double sunny day. Many of us belong to one place, one city. It does not mean we were born in this particular city: a person could have studied there or maybe just moved for some reasons. No doubt we do love such a city or a place. But this Love to One City must not grow into Disrespect or even Hatred to all the other places. Unfortunately, it happens everywhere. And very often people compare their own town with another town, which makes these 2 towns rivals and divides people into 2 groups. And obviously that is a stereotype. As far as live in the North-West of Russia, such two cities for me are Saint Petersburg and Moscow. I should admit that I live in the first one but I sometimes visit the second one. If you ask any person from St. Petersburg about Moscow, 99 out of 100 are going to say something not good about the city. It seems to be a real contest between 2 places. But should it even exist? How many people out of these 100 were to Moscow? I don’t believe that all of them, maybe a half, maybe even less than that. Some of them hate Moscow so much that don’t even want to visit it. So it is just a common and silly stereotype that people don’t want to break. It’s comfortable for them to think they are the best and to live in their own closed world. I must say that not everyone thinks like that. However, the majority does. I should also admit that I had such a stereotype myself: from childhood I heard that all football teams from Moscow are the worst teams in the world, that people from Moscow are selfish, very rich and very impolite, that Moscow underground is dirty and crazy, that traffic is hectic, lifestyle is too fast and that Moscow consists of immigrants. I thought like that till my first trip to that city at a relatively mature age. I broke this stereotype. And now I am going to give the following list of reasons why Moscow is not that bad and why St. Petersburg is not the best place. These two cities is just an example. However, to my mind, the following reasons are so frequent all over the world when we speak about big cities that it can also be applied to rival cities in many places. Reality: of course, all people cannot be polite, kind and nice. But just think: the population of Moscow is about 14 million people. Can all these people be really rude? The answer is obviously «no». If they really were, probably Moscow would not be the capital anymore. Moreover, it would not have such a great influence. Who would like to have deals with unfriendly people? No one. Stereotype: too complicated and crowded. Reality: Just think: if the city is too big, if it has many offices, Universities, Ministries, hospitals etc, should the transport system be complicated? I don’t think so. Moscow underground is just different. The stairs are not too long and trains come almost every minute. Maybe the underground itself is crowded during rush hour but that is common for all big cities. No one is late for work or school. Moreover, the underground system is rather well-spread. Better than in St. Petersburg. Reality: yes, traffic jams do exist. But they are everywhere. You just can’t avoid them if you live in a big city. What I have noticed in Moscow is that there can be a middle-sized traffic jam in the centre because some politicians are moving, but just in 10 minutes it is over. Everyone is in a hurry and people don’t want to wait. The lifestyle is too fast to wait time. Reality: If a person sleeps a bit and works a lot, he should go to a doctor almost every day or die very fast as sleeping means a lot. All people who I met in Moscow and from Moscow sleep 7-8 hours a day. Sometimes they sleep less, sometimes more. Just as normal people do. Despite the lifestyle, they don’t lack sleep, they just have a little bit less free time and are more organized. Stereotype: too many, everywhere all over the city. Reality: If Moscow was a bad place, people from other places would not come there. However, It is a well-known fact that many people dream about moving to Moscow. Why? 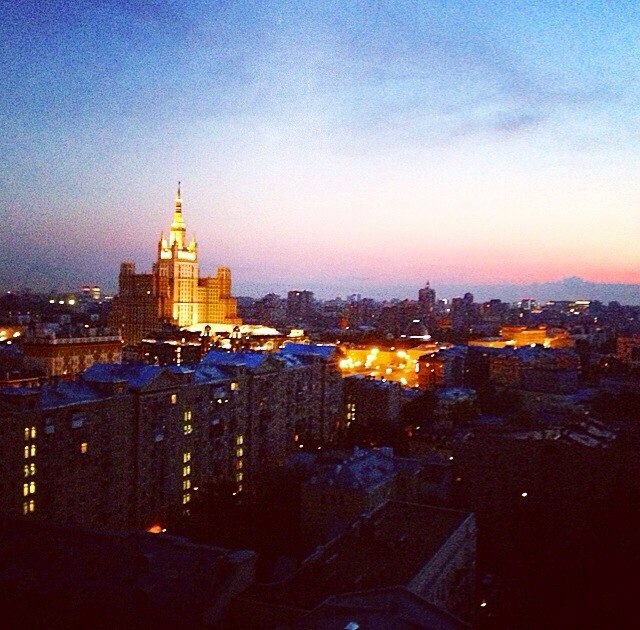 Moscow gives you opportunities to achieve your dreams when you work hard. No matter where you come from, you are given a chance. At the same time Moscow has some limits on the amount of immigrants. I must say that we also should not forget about Globalization. It is everywhere now and if you want to achieve success in the future, you should admit that people from other places can bring something innovative and good. Reality: Silly people always show their wealthiness off, no matter where they come from. It comes from the upbringing and the family, not from the place or city.